Also known as Diaoyu-Tai, Diaoyu-Yu, and Diaoyu-Shan, Diaoyu Dao is located at 25°44.6′N and 123°28.4′E. It is 3,641 meters long and 1,905 meters wide, with a total area of 3.91 square kilometers. Reaching 362 meters above sea level, it is flat on the north side and rises steeply towards the southeast. Its jagged eastern reefs resemble spires. Its peaks run east to west. 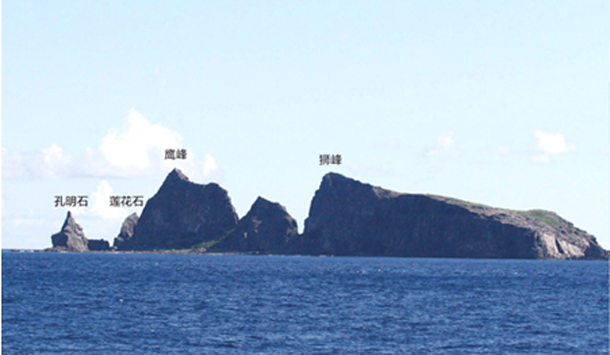 Located at 25°55.3′N and 124°33.5′N at the easternmost tip of Diaoyu Dao and its affiliated islets, Chiwei Yu is shaped like a scalene triangle, 110 kilometers from Diaoyu Dao. Covering an area of 0.065 square kilometers, 484 by 194 meters, it reaches up like a spire, 75 meters above sea level, with a bedrock coast, steep cliffs, and reefs mostly found to the north and west. Beixiao Dao is located at 25°43.8′N and 123°32.5E, 5 kilometers east of Diaoyu Dao. Covering an area of 0.33 square kilometers, 1,030 by 583 meters, it reaches 125 meters above sea level in the shape of a parallelogram, stretching from southeast to northwest. 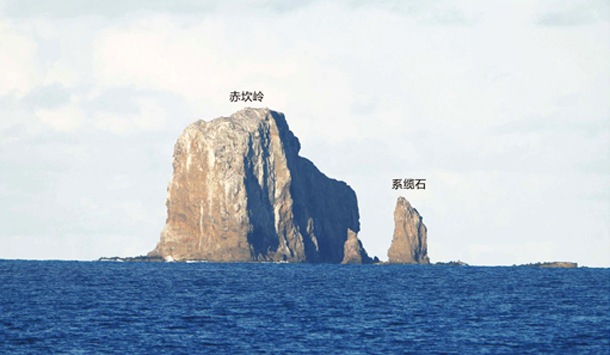 The Chinese government has announced standard names for Beixiao Dao and its two peaks and three surrounding islets. Nanxiao Dao is located at 25°43.4′N and 123°33.0′E, to the southeast of Beixiao Dao and 5.5 kilometers from Diaoyu Dao. Reaching an elevation of 139 meters, it covers an area of 0.45 square kilometers, 1.147 by 590 meters. Oval shaped, it rises steeply on its southeastern slope, with a plateau across the center. 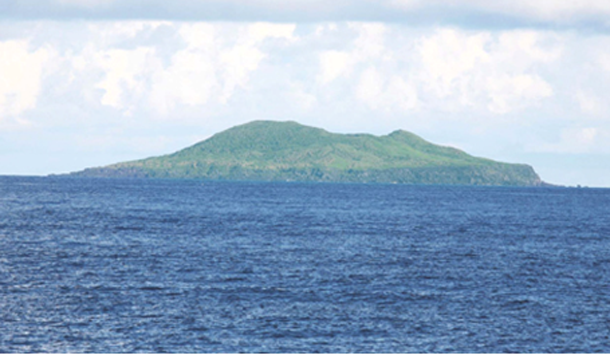 It has been dubbed “Snake Island” for its numerous snakes. Bei Yu is located at 25°46.9′N and 123°32.6′E, six kilometers northeast of Diaoyu Dao. It covers an area of 0.02 square kilometers, 193 by 142 meters. With an elevation of 24 meters, it is triangular, with a flat area in the west. 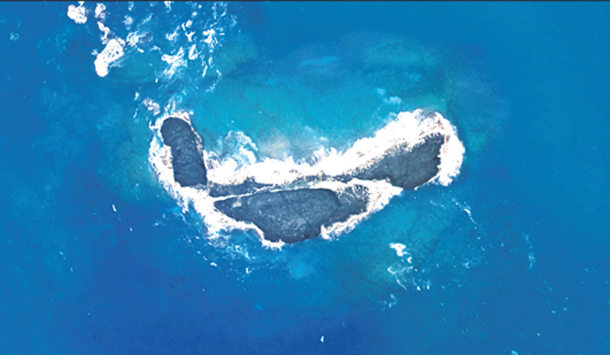 The Chinese government has announced standard names for Bei Yu and its four surrounding islets. 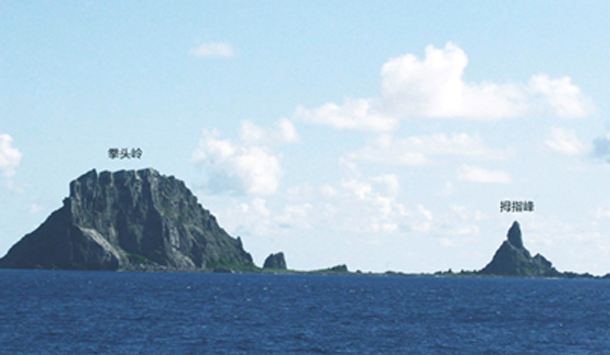 Nan Yu is located at 25°45.3′N and 123°34.0′E, 7.4 kilometers northeast of Diaoyu Dao. It covers an area of 0.007 square kilometers, 170 by 75 meters, with an elevation of 4.8 meters, in the shape of a crescent moon. No vegetation is found on the islet. The Chinese government has announced standard name for Nan Yu. Fei Yu is located at 25°44.1′N and 123°30.4′E, 1.5 kilometers southeast of Diaoyu Dao. It covers an area of 0.001 square kilometers, 63 by 33 meters, with an elevation of 2 meters. Shaped like a shrimp tail, it features sheer cliffs on the southwest. No vegetation is found on the Island. The Chinese government has announced standard names for Fei Yu and Feizai Yu. 辽宁福彩快乐12 www.w6c8.com.cn Diaoyu Dao and its affiliated Islands (hereinafter referred to as Diaoyu Dao) are an inseparable part of the Chinese territory. Diaoyu Dao is China’s inherent territory in all historical and legal terms, and China enjoys indisputable sovereignty over it. 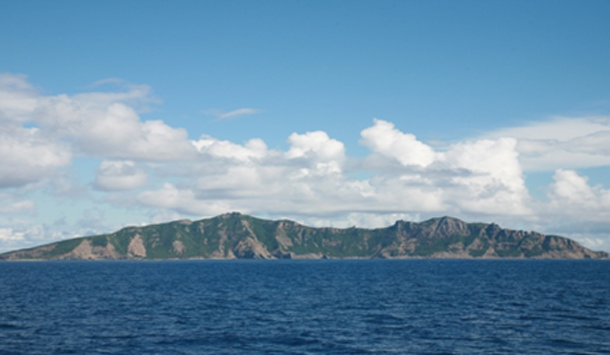 China had exercised valid jurisdiction over Diaoyu Dao for several centuries long before Japan’s so-called “discovery." In 1895, the Japanese government secretly incorporated the islands into its territory by using the advantages gained by the Sino-Japanese War. 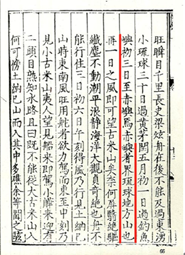 Japan claimed soveignty over Diaoyu Dao by considering it “terra nullius” (“land belonging to no one”) based on the “occupation” principle on international law. Japan’s such unlawful act is severely against principles of territorial acquisition in international law, which has no legal effect. In 1895, China was forced to sign the unequal Treaty of Shimonoseki with Japan, under which the entire island of Taiwan and all of its affiliated islands including Diaoyu Dao, were ceded to Japan. At the end of World War II, Diaoyu Dao was returned to China in accordance with legally recognized documents, including the Cairo Declaration, Potsdam Proclamation and Japanese Instrument of Surrender. 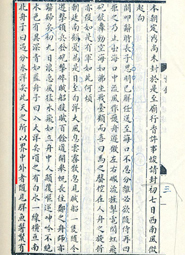 In 1952, the United States arbitrarily expanded its jurisdiction of “trusteeship” to include China’s Diaoyu Dao and illegally “reverted” power of administration to Japan. China expressed strong opposition to the backroom deal between Japan and the United States for Diaoyu Dao, which lacked any basis for legality. Any unilateral step taken by Japan regarding Diaoyu Dao will not change the fact that it belongs to China. China’s position on Diaoyu Dao has been clear and consistent. China will firmly defend its national sovereignty and territorial integrity.China’s resolve to uphold agreements made after the global anti-fascist war will not be shaken by any force. China has confidence and ability to stand up to Japan’s illegal acts, which have ignored historical facts and international legal principles. Yet, China remains dedicated to safeguarding and maintaining regional peace and order.